MSFT launched a new product category with the Surface Pro, will it do the same with Andromeda? Where is Microsoft Corporation (NASDAQ:MSFT) looking to make its next hardware statement? Leaked internal documents say that we’ll see something radically new from the company in 2018. The Microsoft Andromeda –a dual-screen mobile device– is apparently set for release this year. The leaked intel also points to a new Surface Pro this year and confirms rumors of a cheaper Surface tablet, plus shows release dates for the next generation HoloLens and Xbox game console. If the documents are genuine and the company’s plans haven’t changed as a result of a recent re-org that changed the Windows Devices division leadership, it looks like hardware sales will continue to be a part of the MSFT stock equation for the foreseeable future. 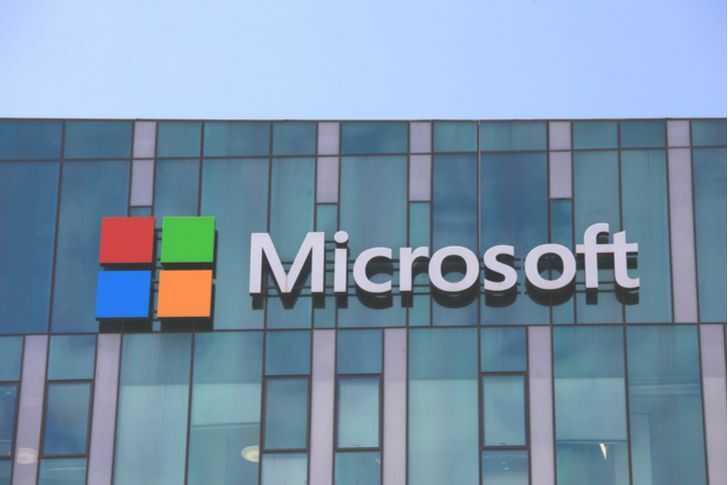 ArsTechnica and other tech-focused websites are reporting on a leaked internal Microsoft document. It includes details on MSFT’s hardware roadmap for 2018 through 2020. And while some of the products slated for release are expected, there is a also a big surprise in there. “Libra” the rumored cheap Surface tablet aimed at consumers is due for a 2018 release. Also due this year is “Carmel” the next Surface Pro tablet, to be equipped with Intel Corporation’s (NASDAQ:INTC) forthcoming Whiskey and Amber Lake mobile CPUs. “Microsoft Andromeda” a mystery dual-screen mobile device is also slated to launch in 2018. Finally, in 2020 the next generation generation Xbox game console (“Scarlett”) is scheduled for release. Is Microsoft Andromeda the Courier, Reimagined? Microsoft Andromeda is supposedly a pocketable mobile device with two screens. This is a form factor that MSFT has been obsessed with for a decade, going back to the Microsoft Courier. This dual-screen tablet for creatives was reportedly killed in 2010, before ever seeing the light of day. The key issue appears to have been that it didn’t run stock Windows and didn’t require Outlook e-mail — which was not good news for Microsoft Office. With software sales the driver of revenue for the company — and key to MSFT stock value — the Courier was killed. However, Microsoft soon introduced the Surface Pro tablet, a device that broke new ground by blurring the distinction between tablet and laptop. It has gone on to spawn an entire new segment of prosumer tablets, including Apple Inc.’s (NASDAQ:AAPL) iPad Pro. At this point, there is nothing to confirm the existence of Microsoft Andromeda other than rumors and this new leaked hardware roadmap. But plans can change and MSFT’s Windows devices are now under new leadership. However, Surface revenue was up significantly last quarter and MSFT has proved it can shake things up on the hardware front, even create all-new product categories. With PC sales in a perma-slide, smartphones increasingly front and center and Windows a non-factor in that smartphone market, Microsoft Andromeda may be just what the company needs to keep its operating system — and Office — relevant. If it catches on, Andromeda may also offer a real boost to hardware revenue. Both would be good for MSFT stock. Article printed from InvestorPlace Media, https://investorplace.com/2018/06/leaked-microsoft-document-points-to-dual-screen-mobile-device/.